Earning the title of “The Founder of Modern Southwestern Cuisine” is no easy task, but Celebrity Chef Speaker Mark Miller has done his duties to become that person. Born and raised in Boston, MA, Chef Mark studied at Berkeley College and launched his career with a job at Chez Panisse. Chef Miller would later move on to his own endeavors when he opened the Fourth Street Grill in the same town as his alma mater. It was here that Chef Mark Miller first introduced the Southwestern dishes to his diners that he has become so famous for. He has also brought his cooking style to Coyote Café in New Mexico, as his most famous restaurant, Red Sage in Washington, DC. While his restaurants were a booming success, his cookbooks would put acclaimed Chef Mark Miller on the culinary map. Adequately named after his restaurants, Chef Mark has released nearly a dozen books, including Coyote Café: Foods from the Great Southwest, Recipes from Coyote Café, , The Great Salsa Book, The Great Chile Book, Tacos, Tamales, Flavored Breads: Reciped from Mark Miller’s Coyote Café, Cool Coyote Café Juice Drinks, and Red Sage: Contemporary Western Cuisine, which is his most popular book to date. Today, Celebrity Chef Speaker Mark Miller is a public speaker and author who continues to release cookbooks that feature his Southwestern style. 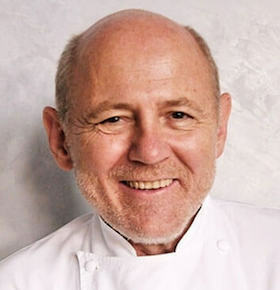 He was recently named one of the most influential chefs in the country by Life Magazine and has received such accolades as the James Beard Award for Best American Chef: Southwest and Esquire Magazine’s Best New Restaurant Award.